Rev. 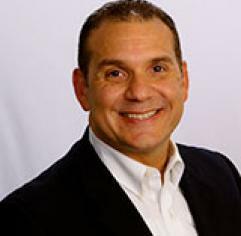 Dr. Pablo R. Diaz is Vice President of Ministries for Guideposts Outreach Division. He is a contributing writer for the annual Daily Guideposts devotional. Prior to coming to Guideposts, he was a pastor in various congregations and served in leadership roles for non-profit organizations. Pablo’s mission is to help people maximize their personal and leadership potential. In addition to his work at Guideposts he is an independent certified coach, teacher and speaker with The John Maxwell Team. Pablo enjoys tennis, traveling, reading, and spending time with family and friends. Pablo and his wife Elba live in Carmel, NY and they have two grown children.